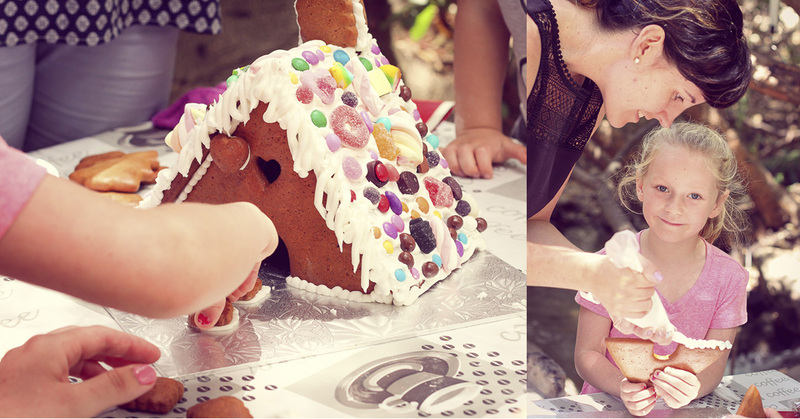 Making Gingerbread Houses – Your Chance to Win a DIY Kit! 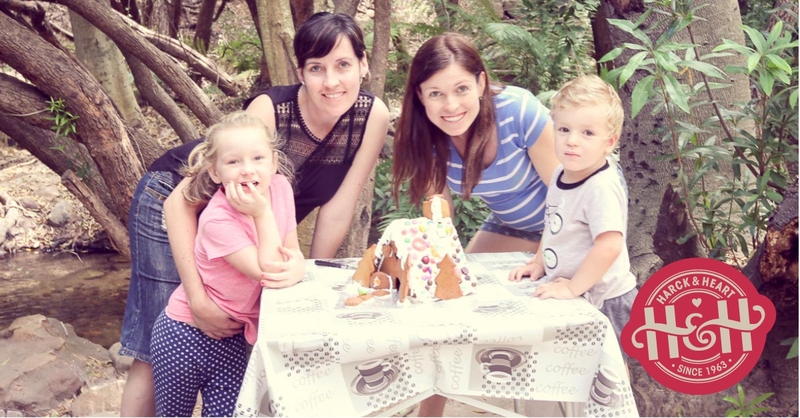 We had a fabulous time learning how to make our very own Gingerbread House with the DIY Kit from Gisela Harck, founder of Harck & Heart – the gingerbread bakery in Stellenbosch. Gisela believes that baking is happiness. “This secret family recipe for German gingerbread, otherwise known as Lebkuchen, has been handed down through three generations”, says Gisela. “It was first baked by my Gran in 1963 when she started baking little bags of biscuits to spread festive cheer amongst boarding school kids. Uplifting hearts and bringing joy has always been a part of the baking magic that runs in our family’, she adds proudly. Over the years, the recipe has been perfected, resulting in a moreish delicious biscuit that is too good not to be enjoyed all year round. The secret lies in their dough which is made of high-quality ingredients which is rolled and cut by hand. Time is then taken to decorate each and every single biscuit, giving them their individual character. Their creativity and love for this craft is made visible by the attention to detail which stands out in a sea of mass produced, machine manufactured goods. From baking to decorating and packaging, these kits bring a smile to your heart and a crunch to your mouth. 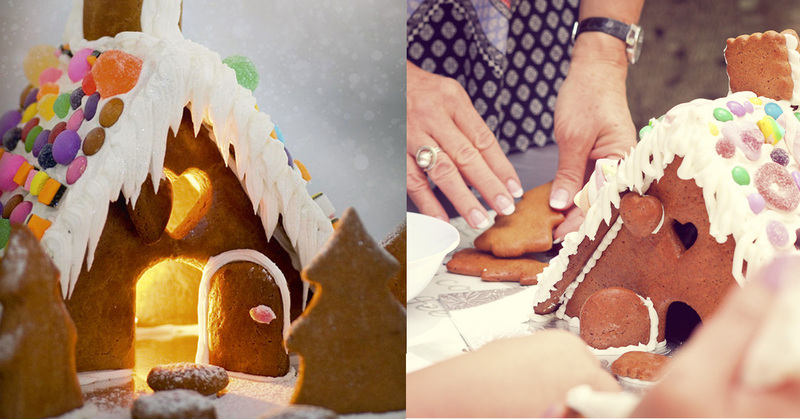 Creating these gorgeous houses brings the family together. Spending time together as a family is important for building strong family ties, making lifelong memories and creating an environment that builds self-esteem and character in children. When asked, children say the number one thing they want most from their parents is time. Parents don’t have to spend a lot of money to spend quality time with their children; any time spent together sharing an activity is considered quality time. An activity such as this is the perfect holiday entertainment for the kids and the whole family. 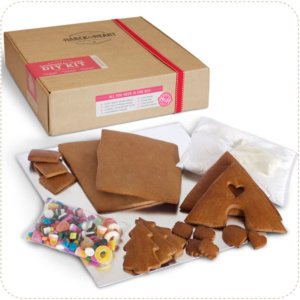 With this kit you can build your own gingerbread house, complete with trees, garden path, window, door and chimney. The winner will be chosen on Saturday 29th April by random selection. Easy to assemble. Great family fun for all ages. 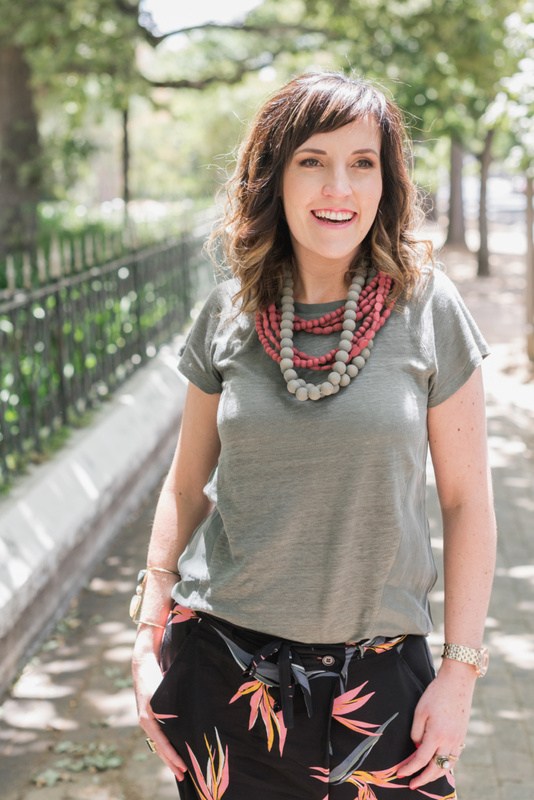 You can visit Harck & Heart’s online shop to purchase one.